At ZPL Energy our most valuable resource is the people who work for us. Injuries can be prevented. Accidents can be avoided. Precious Environmental Resources can be protected. To achieve these objectives, ZPL Energy will make all reasonable efforts to comply with government regulations pertaining to health, safety and environmental issues. An effective Health, Safety and Environmental Program will be carried out throughout our organization. Our HSE Program will assist management and non-supervisory employees in controlling hazards and risks which will minimize employee and customer injuries, damage to customer's property and damage or destruction of ZPL Energy property. All employees will follow this program. This program is designed to encourage all employees to promote the safety of their fellow employees and customers. To accomplish our safety, health and environmental awareness, all members of management are responsible and accountable for implementing this policy, and to ensure it is followed. ZPL Energy is sincerely interested in the employee's safety. We provide safe equipment, adequate tools and training, and the necessary protective equipment. It is the employee's responsibility to follow the rules of safety as established for their protection and the protection of others, and to use the protective devices, clothing or equipment provided by ZPL Energy. ZPL Energy strives to create a work environment that values diversity, teamwork, ethical behavior, and performance excellence. We believe that a company culture that values total performance excellence, protects lives and property, reduces insurance costs, averts liability claims, improves schedules, builds productivity and morale and protects and enhances our customer's image. 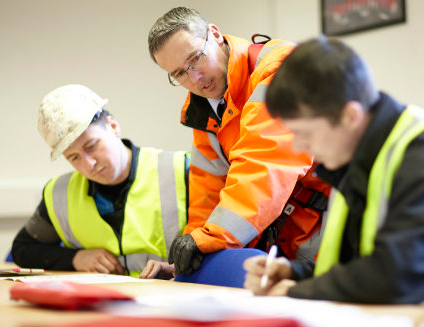 Our continued success achieving HSE objectives requires thorough training programs, individual discipline and awareness, and a personal commitment that begins with the CEO and is shared by every employee. That its operations comply with all applicable environmental legislation, corporate, and industry standards in the countries we operate in. That all employees are informed of their individual responsibilities and are trained and empowered in their actions to be taken towards managing environmental concerns if and when they arise. That any potential emergencies arising out of the Company's operations which could threaten the natural environment are anticipated and appropriate preparation plans are in place to ensure a prompt and effective response to potential environmental emergencies. Effectively communicate the environmental management policy and programs to its employees.